Jeannie joined us for a few months when we first installed the clean room, trying to get our procedures to be "clean". We believed that our ceramic Millicarat sensor was suffering from small particles in the gap, and her cleanliness indeed helped to reduce the creep by a factor of three or so. 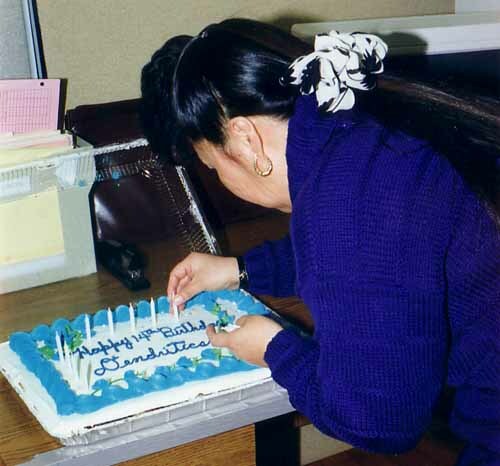 She also made a very fun cake for Dendritics' 14th Anniversary (on April Fools day, of course). Computations indicate that this must have been in 1996.